Build-It-Solar Blog: Our Prius Goes Over 100K Miles -- Savings Todate $10,400! 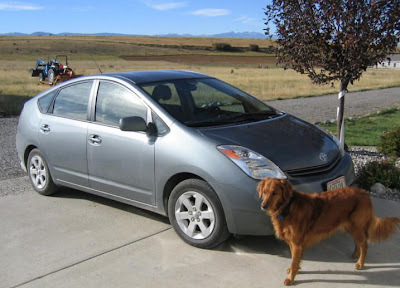 Our Prius Goes Over 100K Miles -- Savings Todate $10,400! Our Prius just ticked over 100K miles a couple days ago. I used the calculator on HybridCars.com to estimate the total savings to date. I compare the Prius to our other car, which is a Honda Pilot -- its the car we would be driving if we did not have the Prius. The Pilot is also not too far from the US fleet average. 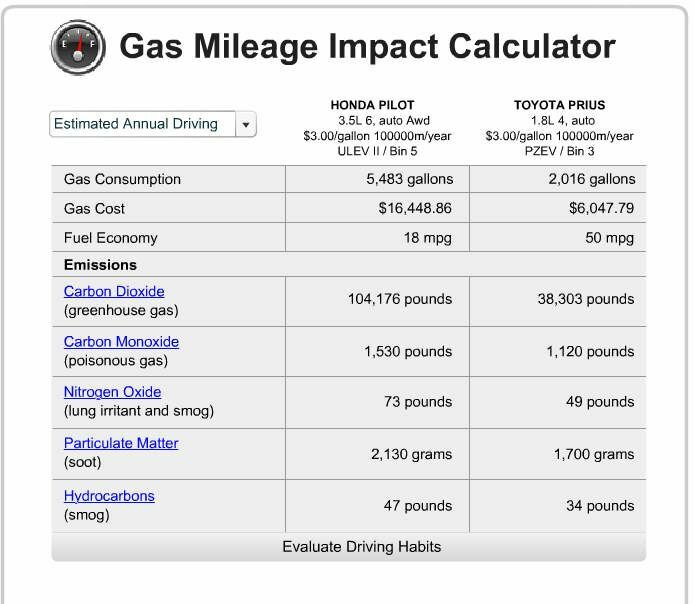 Truly amazing numbers -- if we keep the car as long as we did our last car, the savings in gasoline costs will probably pay the full initial cost of the Prius! I know people tend to either love or hate the Prius, but just from an engineering standpoint, its an amazing accomplishment. If we could get the US fleet average just up to what a Prius already gets, we would not have an oil import problem, and it would make a significant dent in our Carbon problem. Added Sep 4: based on some questions, added this page that compares hybrids to non-hybrids over a 100K miles distance -- including fuel costs. Also the costs for some big cars/SUVs/trucks.